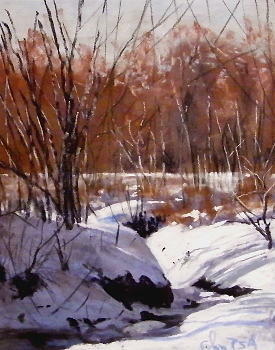 Frozen Water Way is a pastel by Tom Christopher which was uploaded on January 13th, 2010. Frozen Water Way was completed in December 2009. This pastel on painted on archival Uart paper and mounted on gator foam surface. There are no comments for Frozen Water Way. Click here to post the first comment.